Dr. Krausz’s main research interests focus on the comorbidity of severe mental illness and addiction; especially psychosis, the use of psychotropic substances and the effective treatment of such conditions. Dr. Michael Krausz is originally from Hamburg, Germany, where he was trained at the University Medical Center Hamburg-Eppendorf. Following his training, he worked in three different clinical and research positions in general psychiatry. 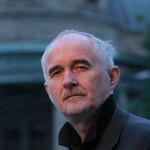 In the mid 1990s, he became a founding director of the Centre of Interdisciplinary Addiction Research at the University of Hamburg and retained directorship at the centre until 2004. As a founding director, he was also responsible for the German Heroin Trial, the European Cocaine Project, and several other notable addiction-related trials. He was also Editor-In-Chief of two well-established scientific journals; Suchttherapie and European Addiction Research respectively. He has also published more than 300 scientific papers to date. Dr. Krausz is also a founding member of the International Society of Addiction Medicine (ISAM) and is currently serving on the boards of the Section of Addiction and the Section of Public Policy for the World Psychiatric Association. Michael relocated permanently to the Vancouver area in 2007 and became a professor of psychiatry and the University of British Columbia (UBC) as well as the LEEF Chair in Addiction Research at the Institute of Mental Health at UBC.